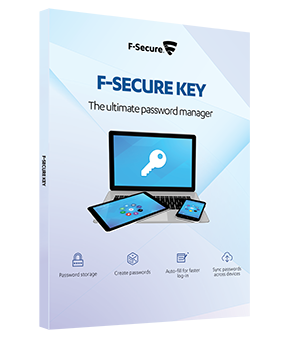 F-Secure KEY safely stores your passwords, user names and other credentials so that you can access them wherever you are through one master password. F-Secure KEY makes your access to online services easy and secure by automatically filling in the login fields for you, and helps you generate new passwords that are both safe and unique. With F-Secure KEY, your credentials are always available on all of your devices: smartphones, tablets, PCs and Macs. Your personal data is strongly encrypted to keep it safe.